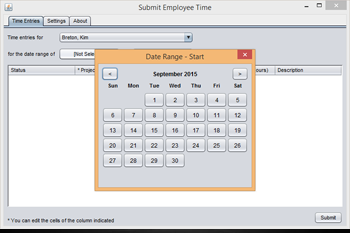 This Submit Employee Time App (written in Java) allows an administrator or a project manager to view an employee's time and optionally submit it. Please note: This App will adhere to the limited access security that has been setup in Dovico Services for the user. Therefore if the App user does not have Read access to Employees, they will only be able to see their own data. 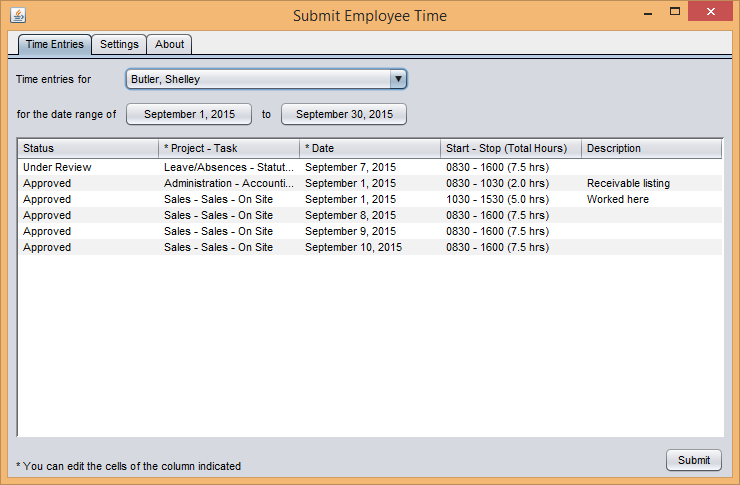 The Project/Task or Date of any time entry, not currently under review, can also be edited. This Open Source App is made available at no charge and can be freely modified and distributed by software developers as permitted by the MIT License. Users of this App are encouraged to make changes and update the GitHub repository. 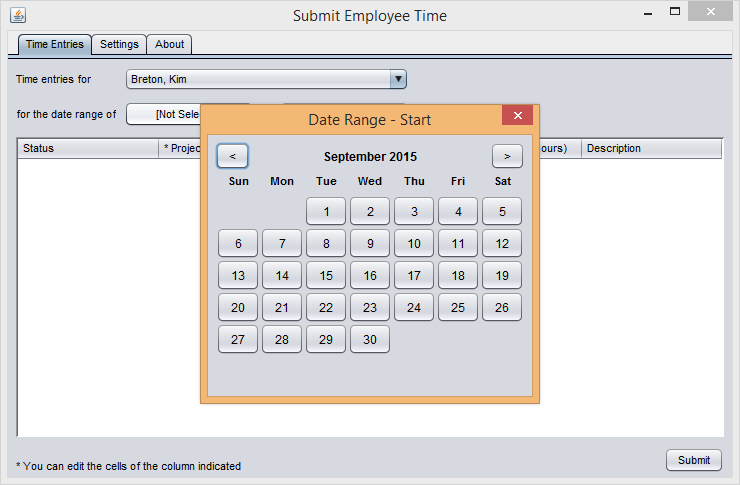 Submit an employees timesheet for approval if they are on vacation or if they forget to submit. 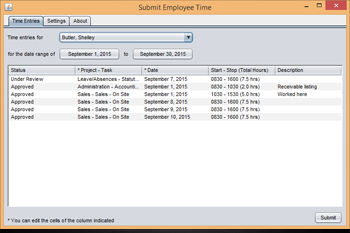 Move a time entry to another day or apply a new project/task to an employees time entry.